Playing Guitar is a rewarding passtime for many Americans, and an admired skill all over the world. The tone of an acoustic guitar is produced by the strings’ vibration, amplified by the body, which acts as a resonating chamber. 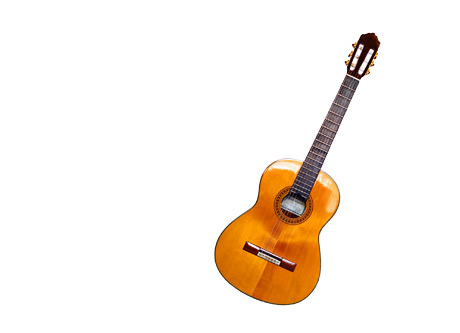 There are three main types of modern acoustic guitar: the classical guitar (nylon-string guitar), the steel-string acoustic guitar, and the archtop guitar. 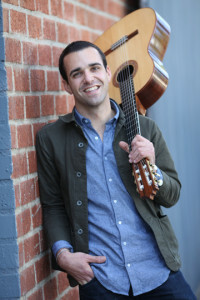 The classical guitar is often played as a solo instrument using a comprehensive fingerpicking technique. The guitarist and composer Francisco Tárrega (1852-1909) was one of the great guitar virtuosos and teachers and is considered the father of modern classical guitar playing. Other prominent classical guitarrist include: Andrés Segovia (1893-1987), John Williams (b.1941) and Xuefei Yang (b. 1977).